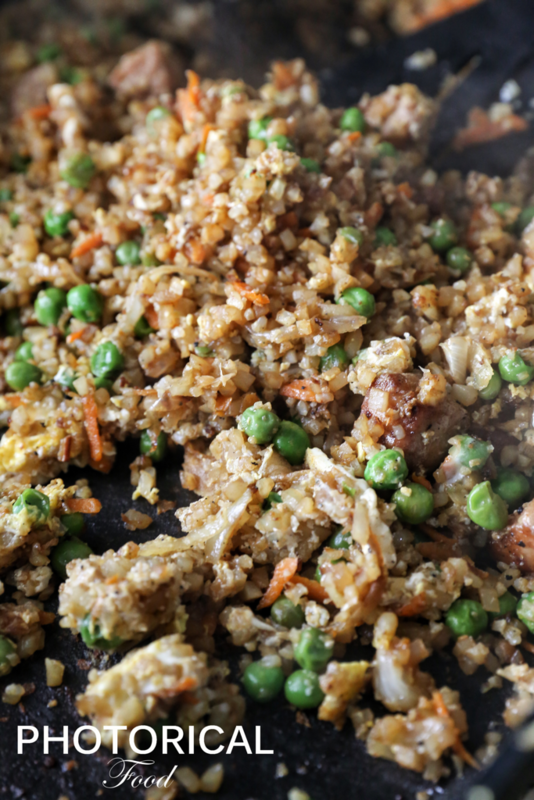 I will admit, I am horrible at making traditional fried rice. Mostly because I don’t have the patience to make proper rice by cooking it and letting it cool before I fry it up. I have found that riced cauliflower removes this annoying step completely and it is a low carb/veggie version of a family favorite. I honestly couldnt tell I had replaced rice with cauliflower. I know, it seems impossible, but I wouldnt do so just to get you to try this recipe. 2 medium carrots diced or grated ( I prefer grated). 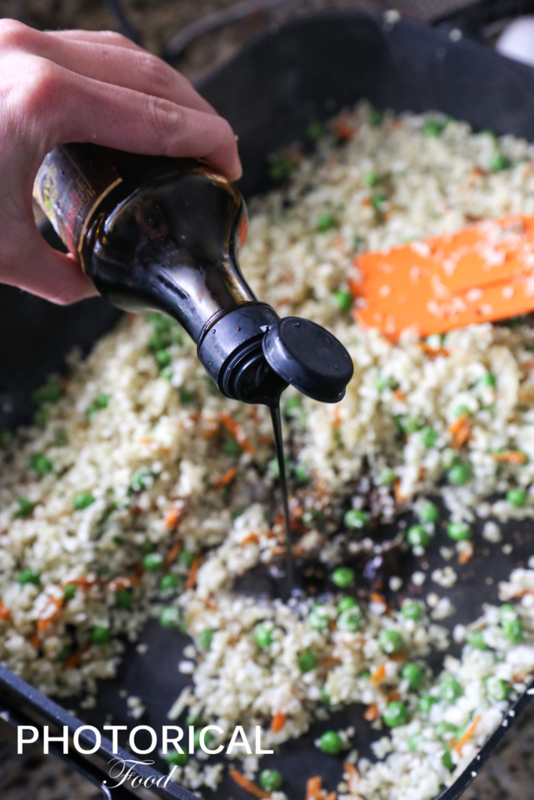 Coat your pan in oil of choice to prevent sticking. I used coconut oil for this. 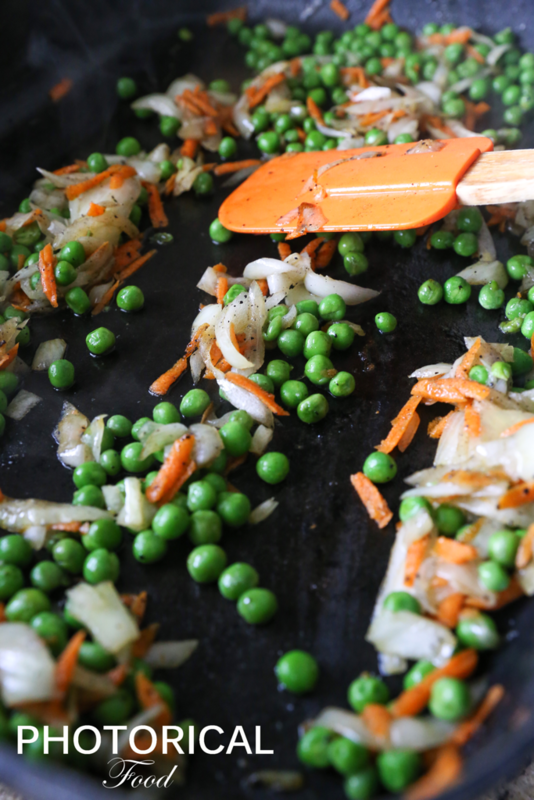 First add your peas, carrots and onions to the pan and sautee. Add the cauliflower and soy sauce, mixing well. Brown slightly and push to one side of the pan. 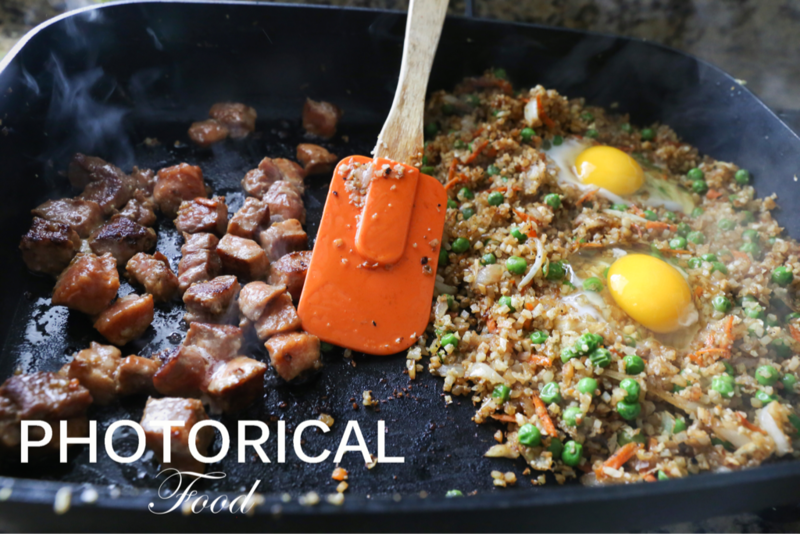 Mix your pork marinade and add to the pan. Cook fully before stirring in with your riced cauliflower. 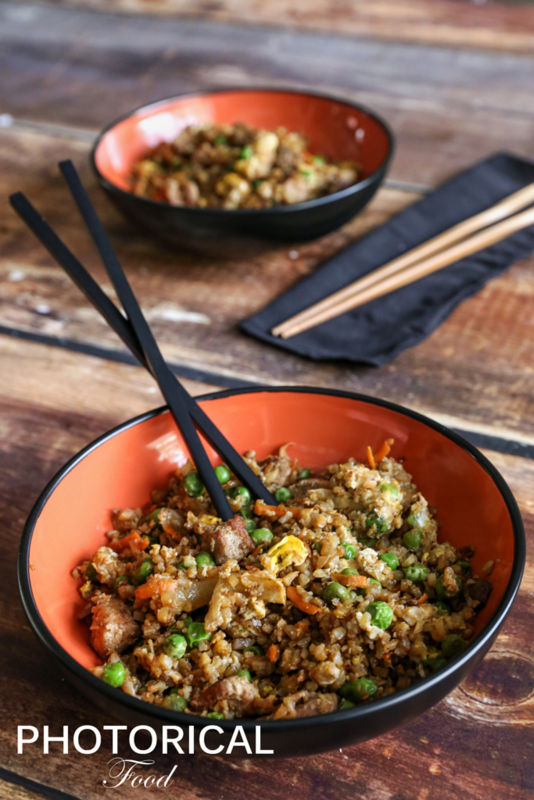 If you are going to add eggs to your rice, crack them over the cauliflower and cover for 1-2 minutes. doing this will prevent the egg from burning/sticking to the pan. It also coats the rice and makes it taste extra good. 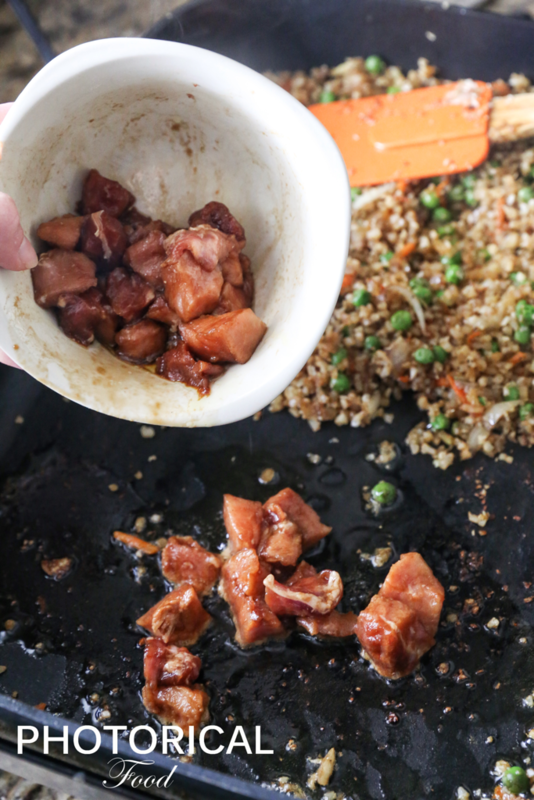 Mix your cooked pork with the riced cauliflower mixture and serve.